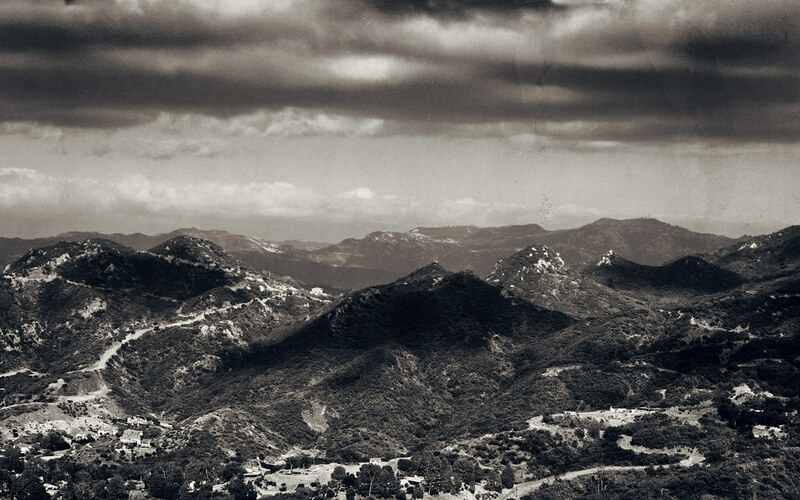 The American West appears in the hills beyond Malibu, California: Small communities connected by winding roads in the shadow of Castro Crest. Visiting Balmoral Farm nearby, I compared (in my mind) with Scotland’s Balmoral Castle and was struck by the degree to which America (mostly) has titanic landscapes in place of castles. What is the attraction to tall formations of stone, and does that change when they’re human-made?